Canelo Alvarez (50-1-2, 34 KOs) received his WBC Middleweight World Title today at Museo Soumaya in Mexico City in recognition of his spectacular victory against Gennady “GGG” Golovkin in September. 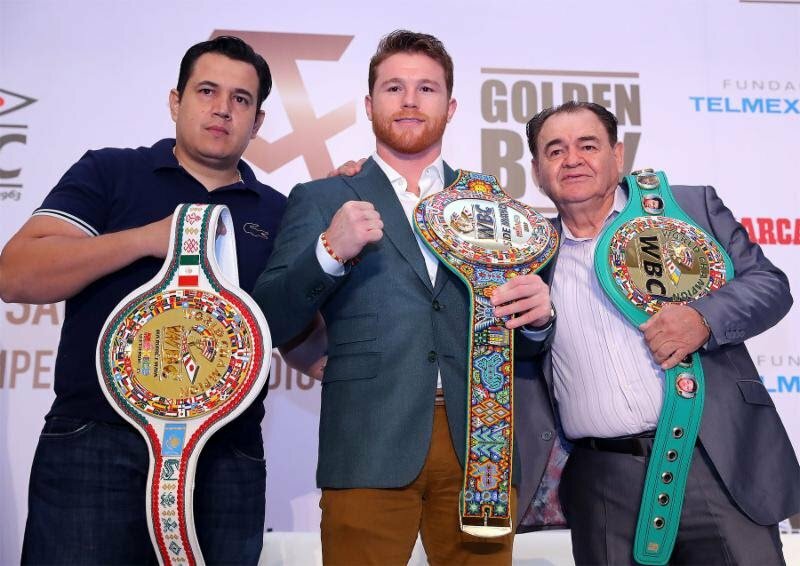 Canelo also received the Cinturon Chiapaneco and the Cinturon Huichol at this momentous event as he prepares to return to the ring. The 28-year-old WBC, WBA, Lineal and Ring Magazine Middleweight World Champion will take on WBA Super Middleweight World Champion Rocky Fielding (27-1, 15 KOs) in a special 12-round super middleweight attraction on Saturday, Dec. 15 at Madison Square Garden. “I want to thank everyone for their support during the good times and the bad. It was a tough year for me. I would never do anything to blemish my career, but I’m grateful to all those who were there with me. I’m going to represent the WBC from here on. They’ve been my family since the beginning. It’s a great responsibility to be a Mexican world champion. But I take that responsibility because I know I’m a determined and disciplined fighter. I honor every fighter who has fought at Madison Square Garden, but I’m going to make my own story. This is another chapter in my legacy. Title presented by Golden Boy Promotions in association with Matchroom Boxing. The event is sponsored by Tecate, “THE OFFICIAL BEER OF BOXING,” and Hennessy “Never Stop. Never Settle.” The event will take place Saturday, December 15 at Madison Square Garden in New York City, New York.